Schools across Toronto have lowered flags to half-mast following the tragic shooting that occurred at a high school in Parkland, Florida on Wednesday. “The students, staff and families of Marjory Stoneman Douglas High School are in our thoughts now and in the very difficult days that lay ahead,” reads the statement. Sending my deepest condolences to the parents, families and friends grieving tonight in Parkland, Florida, and wishing a full recovery to the injured. Canadians have you in our hearts. On February 14, at least 17 people lost their lives and a number of others were injured after a gunman opened fire at the Florida high school. 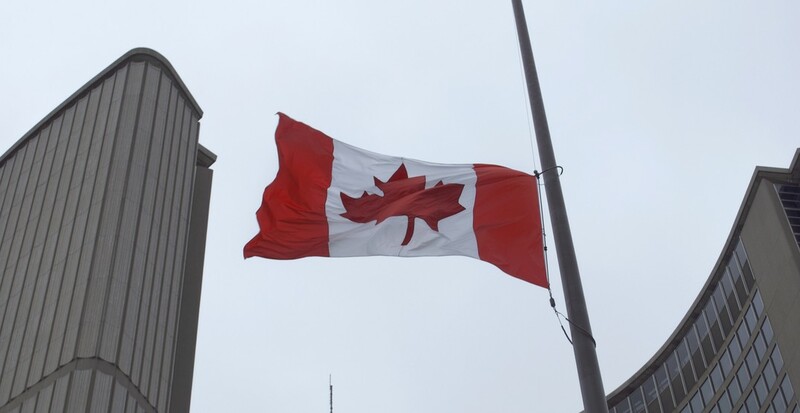 Flags will remain at half-mast at TDSB schools today and tomorrow, February 16, to honour victims of the mass shooting.